WASHINGTON, DC, January 31, 2018 (ENS) – Eastern cougars once inhabited all states east of the Mississippi River, but the last confirmed sighting of a cougar in this area happened 80 years ago. Now, the U.S. Fish and Wildlife Service has declared the subspecies extinct and will remove it from the Endangered Species List on February 22. The Fish and Wildlife Service says the decision is the result of years of deliberation. The agency conducted an extensive review of the eastern cougar in 2011, and recommended it be removed from the endangered and threatened species list in 2015. The species, also known as puma, are the genetic cousins of mountain lions in the Western United States and of Florida panthers, which are now found only in the Florida Everglades. During a public comment period last year, several commenters expressed concern that the delisting would prevent the Service from reestablishing or reintroducing pumas in Eastern North America where suitable habitat and prey populations now occur. Eastern pumas, also called mountain lions, were killed off during the 1700s and 1800s. The last one was killed in Maine in 1938. Western pumas disperse widely and have shown up as far east as Connecticut. As a top-level carnivore, pumas are needed to restore balance to ecosystems in Eastern North America, where this role in biotic communities has been missing for over a century. Some commenters cited scientists who have encouraged proactive leadership on the part of government agencies to assess the possibility of reintroducing pumas to Eastern North America. Commenting on the ecological importance of pumas as apex predators, several reviewers said that ungulate populations such as white-tailed deer have overpopulated in their absence. Ungulate overpopulation may cause overbrowsing and reduced biodiversity, declines in understory recruitment of certain trees and reduced ground-nesting bird habitat across the eastern deciduous forest. In addition to maintaining biodiversity and ecosystem functioning, restoring pumas would reduce risk to the public from vehicle collisions with deer and other large ungulates and would reduce human health issues associated with deer ticks as a vector for Lyme disease, scientific studies have found. The Service acknowledges the science concerning the important ecological role that pumas and other large carnivores serve as apex predators as well as the ecological consequences of high populations of ungulates. “We agree that ecological science supports the contention that healthy populations of large carnivores can maintain balance in ecosystems and ameliorate adverse effects such as damage to native vegetation from grazing ungulates and population increases of small carnivores. We also acknowledge the potential value of puma recolonization associated with reducing vehicle-deer collisions, said the Service. The Service recognizes that within the historical range of the eastern puma there are large, intact areas of habitat with suitable prey resources and little human disturbance that could support puma populations, according to a study done by scientists with the Service in 2011. Potential habitat for pumas occurs in the Southeast, Georgia, the Midwest, the Adirondack region of New York, numerous locations in New England, and the Great Lakes region. Some authors predict that western pumas will continue to expand their range eastward and naturally recolonize some areas of Eastern North America. While the purpose of the Endangered Species Act is to provide a means whereby the ecosystems upon which endangered and threatened species depend may be conserved, the Act gives the Service the authority to pursue ecosystem conservation only to the extent necessary to recover listed species. So, the Service cannot maintain the extinct eastern puma subspecies on the Endangered Species List to facilitate restoration of other, nonlisted puma subspecies. 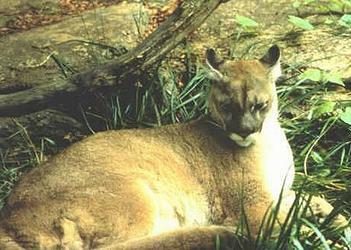 Authority over the establishment of nonlisted puma populations resides with the states. Delisting the eastern puma subspecies would not foreclose future opportunities to reestablish pumas in Eastern North America, the Service says. But the Eastern cougar is not the only big cat that the Fish and Wildlife Service has earmarked for delisting as an endangered species. On January 11, the Service announced its intention to begin the process to remove Endangered Species Act protections for imperiled Canada lynx in the lower 48 states. If the Service moves forward with delisting Canada lynx in the contiguous United States, the Western Environmental Law Center, WildEarth Guardians, and their partners are prepared to challenge the move in court. Scientists estimate the lynx population across the lower 48 states at a perilously low 2,000 individuals with declining habitat in five of six Canada lynx population centers. The species and its habitat are threatened by climate change, logging, development, motorized access and trapping. Canada lynx rely heavily on snowshoe hare, and like their preferred prey, are adapted to living in mature boreal forests with dense cover and deep snowpack. Unit 1: Northern Maine – 1,000 lynx; likelihood of surviving to the year 2100 – 50 percent. Unit 2: NE Minnesota – 100-300 lynx; likelihood of surviving to the year 2100 – 35 percent. Unit 3: NW Montana/SE Idaho – 300v; likelihood of surviving to the year 2100; likelihood of surviving to the year 2100 – 78 percent. 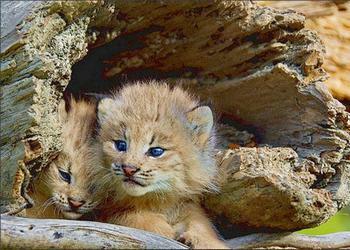 Unit 6: Western Colorado – 100 lynx; likelihood of surviving to the year 2100 – 50 percent. In 2014, the U.S. District Court for the District of Montana ruled that the Service violated the Endangered Species Act by failing to prepare a recovery plan for lynx after a delay of more than 12 years. The court ordered the Service to complete a recovery plan or make a determination that a recovery plan will not promote lynx conservation by January 15, 2018. The January 2018 final Species Status Assessment with its intent to delist the lynx is changed from the Service’s December 2016 draft, which outlined persistent threats and pointed to an increased need for protections for threatened Canada lynx. “This is a political decision – pure and simple. This administration is throwing science out the window,” said Matthew Bishop, an attorney with the Western Environmental Law Center who has worked to protect the species over the past decade. The Service first listed the Canada lynx as threatened under the Endangered Species Act in 2000 but failed to protect any lynx habitat. Lynx habitat received no protection until 2006, and that initial critical habitat designation fell short of meeting the rare cat’s needs and the ESA’s standards, conservationists say. After two additional lawsuits brought by conservationists challenging the Service’s critical habitat designations culminated in 2008 and 2010, a district court in Montana left the agency’s lynx habitat protection in place while remanding it to the Service for improvement. This resulted in the most recent and still inadequate habitat designation.